After 10 days of teasing many different phobias, Lake Compounce, located in Bristol, Connecticut, has just announced their plans for the 2016 season. During a press conference held at the park this morning (July 10th), Compounce unveiled “Phobia: Phear Coaster”, the park’s 5th roller coaster. 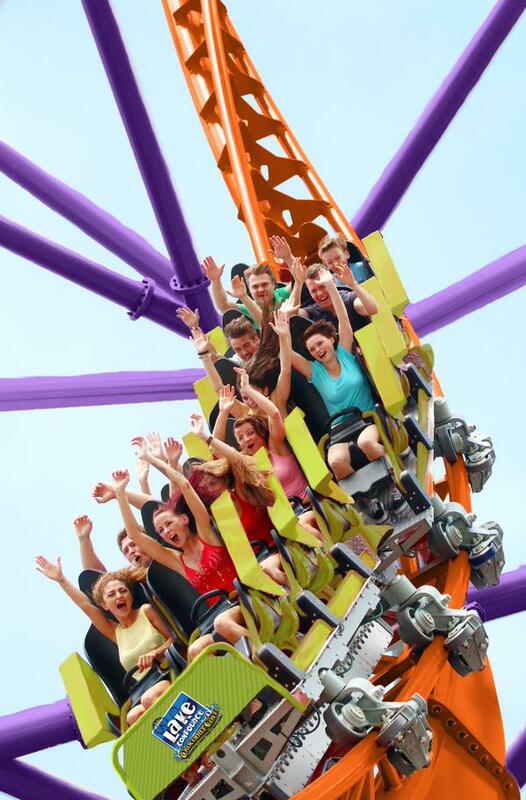 Phobia: Phear Coaster will be the 5th installation of Premier Rides’ “Sky Rocket II” coaster model. 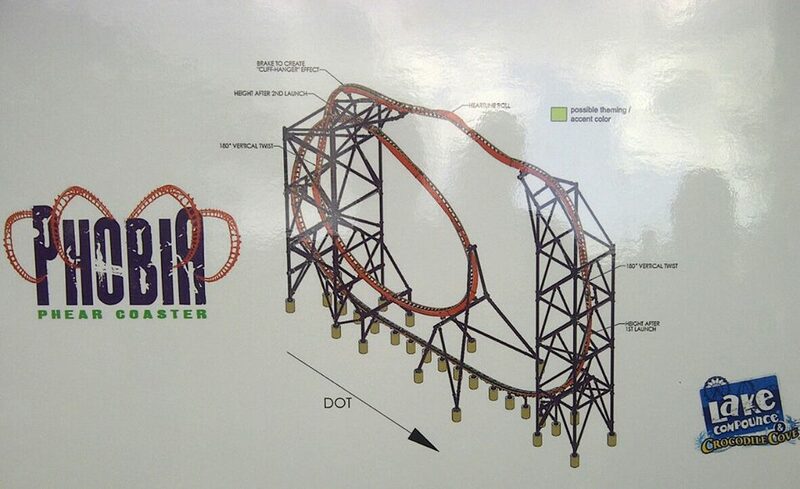 Phobia: Phear Coaster will be New England’s first triple-launch roller coaster. The ride starts out with a Linear Synchronous Motor (LSM) launch, up a 90 degree vertical tower. The 12 passenger train stalls halfway up the tower, and rolls backwards, where it hits the 2nd LSM launch, but this time BACKWARDS! The train stalls again in the back half of a non-inverted loop element, and then blasts through the station at speeds upwards of 65 miles per hour! WOW! Once blasting through the station at top speed, the train hurdles back up the tower, up to the maximum height of 150ft in the air. At the top, the ride perform’s its signature element: A slow heartline roll inversion. Riders will feel an amazing sensation of hangtime during this element, all while being held into the car by only a simple lap bar! After the roll, the train slows down a bit, and the train drops straight back down to the ground. An intense non-inverting loop element follows the drop, and the train is then slowed back down into the station. Lake Compounce has also announced that the ride will replace the classic Enterprise ride, Orbiter. Orbiter will be sent to Kennywood park to act as spare parts for their Huss Enterprise. Construction for Phobia: Phear Coaster will begin in August, with track sections beginning to arrive as soon as next week. Phobia: Phear Coaster will open Spring/Summer of the 2016 season. Who is ready to ride? !